Use them for ground cover or edging at the front of the border – they will flourish in most soils, but they do need good drainage and some shade. Mulch in spring and water when the weather is dry in summer. Dead-head regularly and every three years lift and divide the clumps. 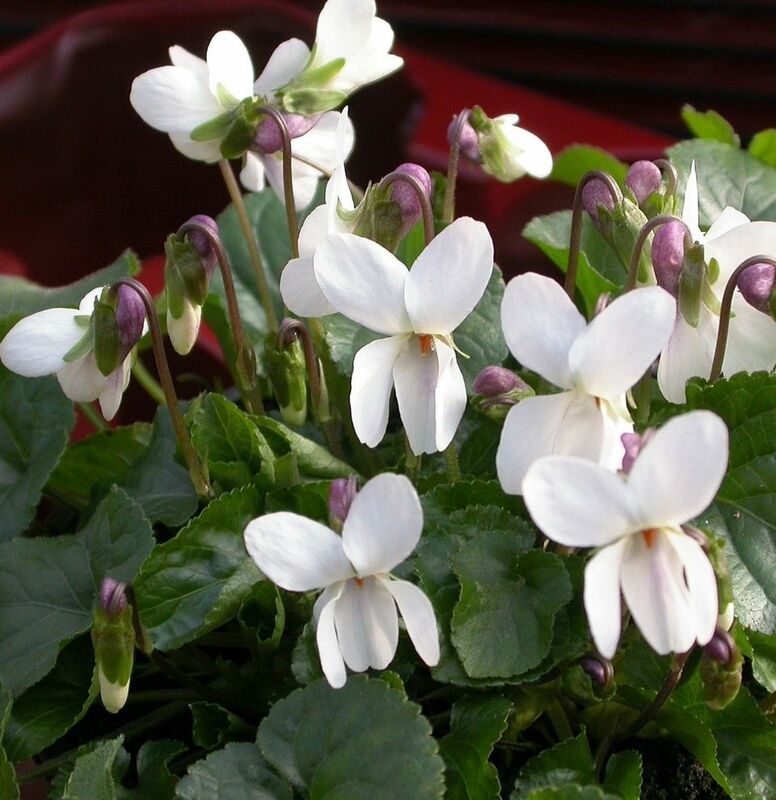 Viola odorata is the sweet violet which was so adored by the Victorians. The basic details are height 4-6 in., spacing 1 ft, flowering period February – April and again in fall. 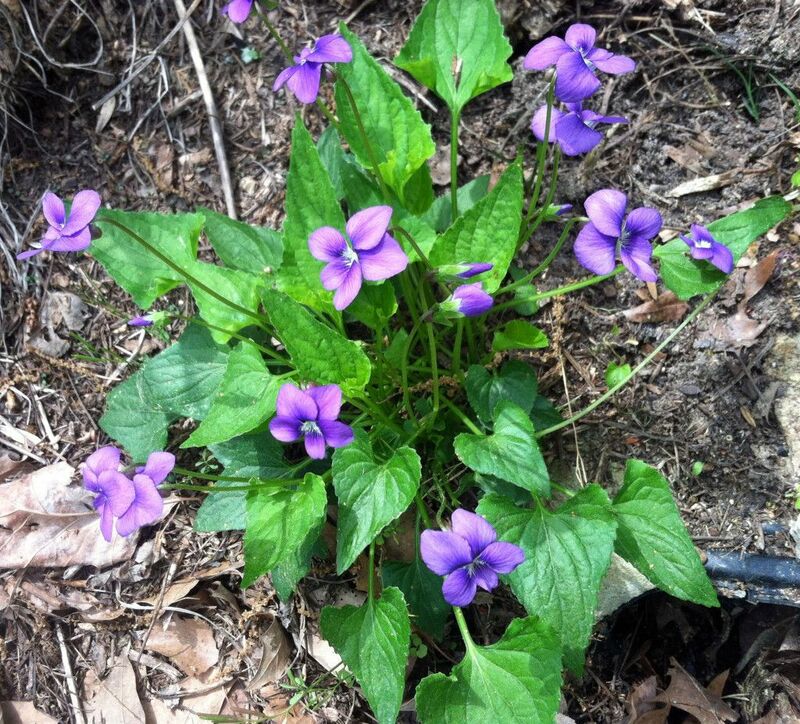 The leaves are heart-shaped and the flowers blue or violet. Other colors are available — ‘Christmas’ (white) and ‘Coeur d’Alsace‘ (pink). ‘Czar’ (purple) has a the reputation for being the most fragrant. 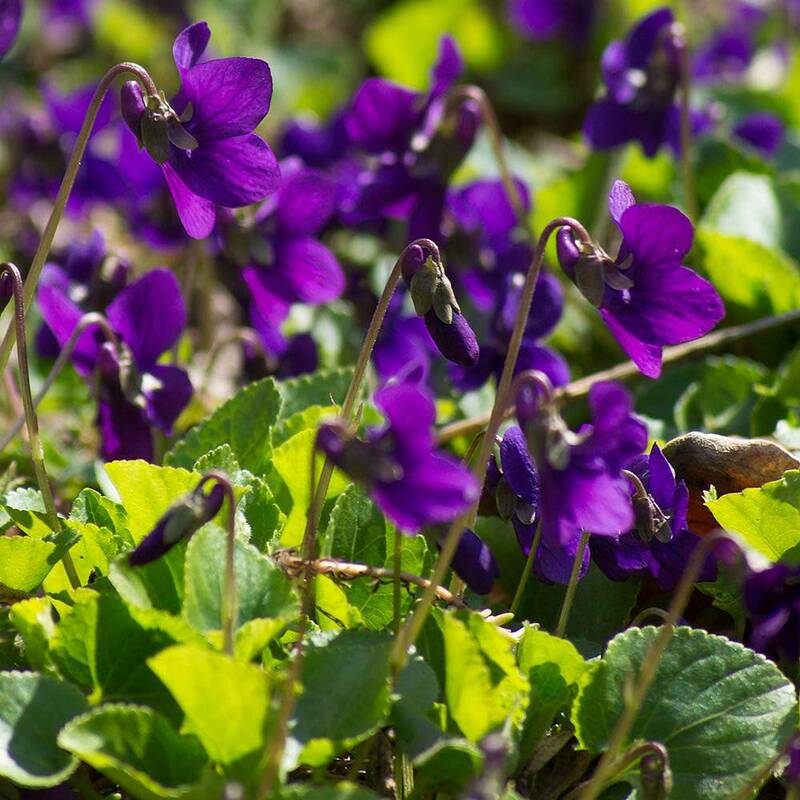 Viola cornula is the horned violet — height 6 in.—1 it, spacing 1 ft, flowering period May – July. Named varieties include ‘Alba’ (white), ‘Jersey Gem’ (purple) and ‘Lilacica’ (lilac). 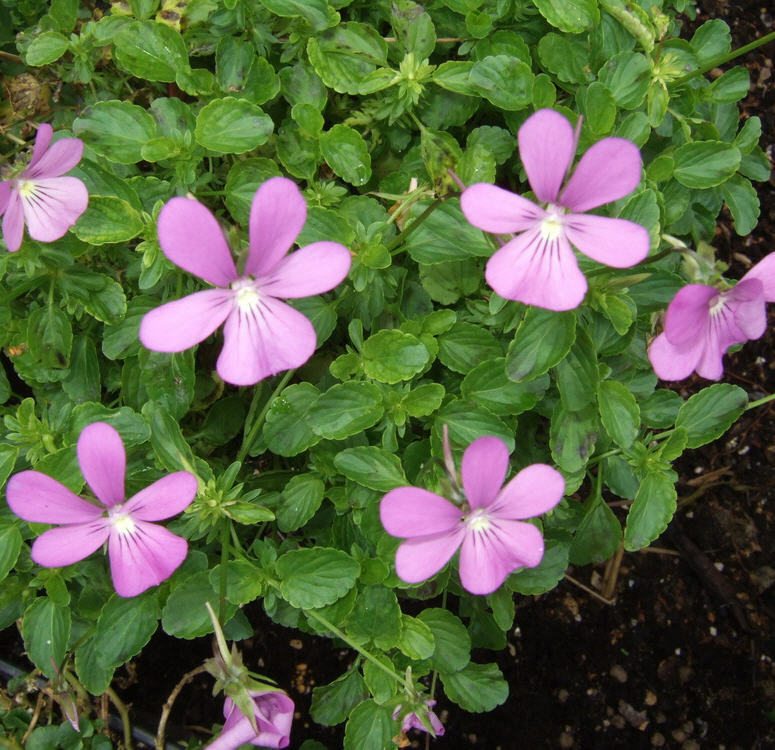 Any well-drained soil will do – thrives best in light shade. Divide clumps in fall or plant basal cuttings in a cold frame in summer.